CHRISTIAN FICTION AT ITS FINEST. ​"I fell in love with the characters and the writing was great. ​Joy Ohagwu is my favorite Christian suspense author!" 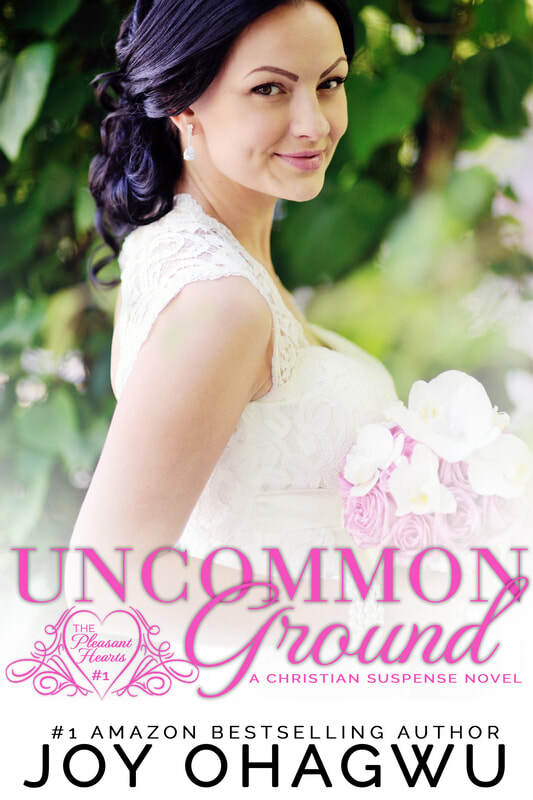 UNCOMMON GROUND is book 1 of the Pleasant Hearts Christian Romantic Suspense series about four sisters told they'll never marry until God stepped in. UNCOMMON GROUND is Stella's story. There are 4 published books for this series available at all retailers. UNVEILED TRUTH is "Excellently done." "Wow!!! Just...Wow. Superb book. Romance, danger, & God's love." "very admirable job weaving together a story-line, a romance, and a hint of danger." "April and Kiel's renewed faith is an inspiration." "You're kept on the edge of your seat." "A true love story on all fronts, between individuals, God and us, selfless love, I couldn't put this book down." "This book reflects the awesomeness of God's redeeming love." For a limited time, enjoy UNCOMMON GROUND, book 1 of this series, for FREE. Just click on the "TELL ME WHERE TO SEND IT" button and you'll be relaxing with the Hearts’ sisters in less than one minute. You also get two more FREE books when you join my newsletter. Please check your email for the links to download your second and third free books. ​This is an exclusive offer so I hope you don't miss out. Enjoy your read!